Home / Arts+Culture / Culture / What Does Africa Day Mean To You? 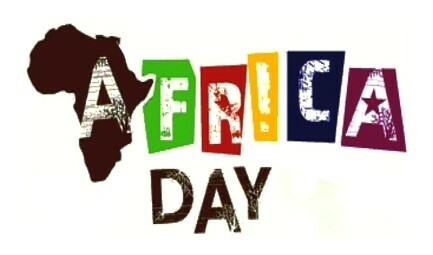 What Does Africa Day Mean To You? Thus begins the iconic speech made by former president Thabo Mbeki on behalf of the African National Congress at the passing of the new constitution of South Africa on the 8th of May, 1996. At that stage the democracy of South Africa was only two years old and our government of national unity was still as bright as a new five cent coin. I was fifteen years old. I remember the chills that danced up and down my spine the first time I heard that speech. I felt proud, overwhelmed, sad and hopeful all at the same time. With the approach of Africa Day, I found myself musing on the meaning of being African and the reasons for celebrating such a day. For those of you who don’t know the history, the annual celebration of Africa Day marks the culmination of a series of events in the golden era of African liberation - that heady period between 1958 and 1963 - when a total of seventeen African countries were liberated from colonialism and gained their independence from the European powers that had ruled them until then. To mark their liberation, several of these states starting celebrating African Liberation Day around that time. These newly liberated countries felt the need to express solidarity with one another in an official way, and in May 1963, 32 African countries met in Addis Ababa to form the Organisation of African Unity (OAU), which went on to become a major political force on the continent until the mid-1990s when it became the African Union. So where does the synergy between Africa Day and Mbeki’s speech come in? The speech is well known and often makes the rounds on social media. But I often wonder how many people have taken the time to listen to it in its entirety or to read the transcript and to dissect what it actually says. It speaks of the ancestors of this great land, the Khoi and the San who were victims to a genocide that society still does not talk about. It speaks of the Malay, Indian and Chinese slaves who were brought here against their will and eventually made this continent their home. It speaks of the warriors of the Zulu, Xhosa and Basotho nations and of the Ashanti and the Berbers. It even mentions the European settlers who came to the continent in search of a better life. Throughout the entire speech there is one essential concept that shines through. Unity - a unity borne of being the product of an amalgamation of nations and ethnicities. A unity in knowing our strengths and the difficult path we have taken to reach our present day existence. A unity in the pride we have for the battles our ancestors fought for our freedom. History teaches us that there’s a lot of pain and sorrow attached to being African. But there is also a lot we can be proud of, and Mbeki’s speech and the reasons for Africa Day do well to illustrate this. Our people have been through centuries of pain and oppression and have come out the other side, still with smiles on our faces and a love for life and our fellow man. Our people are the backbone on which the world economy was built. Our continent has the resources to feed not just our population but that of the entire world - all we need is the motivation and the expertise to make it happen. 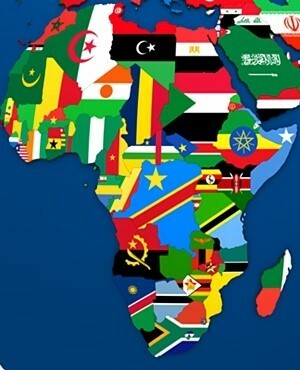 In truth, we, Africa, are a sleeping giant. The world needs us more than we need the world. It would be good for us to remember this when things get tough and we start to question our value. The first time I heard former president Mbeki’s speech, tears filled my eyes; I was totally overwhelmed with emotion. 21 years later, my reaction hasn't changed one bit. There is so much wisdom and beauty in its words as it paints a mental image of the wisdom and beauty of my mother land. It makes me sad for the struggle we have had to survive just to reach this point and sad for what is currently happening with our leadership in this and other African countries. But it also makes me so hopeful and excited for the future. It makes me so proud of who I am - who we all are. You can watch the full speech here. You can also click here to read the transcript.